The County of Cornwall (Kernow) offers opportunities for enjoyment throughout the year. There is dramatic coastal scenery, tranquil villages, miles of golden sands, the sea and many indoor opportunities for those days when the weather is not as good as we would always wish. Cornwall offers a vast number of attractions covering such areas as; animal sanctuaries, farm based activities, wildlife organisations, zoos, owl sanctuary, arts centres, live theatre (notably The Hall for Cornwall and the superbly located Minack Theatre with the stunning backdrop of the sea), cinemas, dramatic scenery, beaches, boat trips, scenic flights, municipal gardens, splendid Christmas light displays (the most famous being at Mousehole), coastal footpath, King Harry trail, cycle trails (with cycle hire available for many), gardens, nurseries, historic houses (National Trust, Historic Houses Association and English Heritage as well as private), golf courses, garden nurseries, leisure centres, ten pin bowling, theme parks, markets, Truro Cathedral, historic Churches. For many visitors a trip to the Eden Project, the Lost Gardens of Heligan, the National Maritime Museum Cornwall or the Tate of the West is often an essential part of the visit. There is the opportunity to explore the history of Methodism in Cornwall, including visiting Gwennap Pit. Stithians itself is a typical Cornish village - many granite cottages interspersed with more recent buildings. The surrounding countryside is farm and woodland. Stithians is centrally located between Truro, Falmouth, Redruth & Helston and as such is ideal for visits to either North or South coast. Stithians is well located for many of Cornwall's attractions. In about half an hour you can be swimming in the sea, sunbathing on the beach, exploring an historic castle, walking in glorious gardens, discovering Cornwall's heritage, visiting Flambards or the Cornish Seal Sanctuary, or savouring one of the many historic ports around the coast. A short drive (or a walk) takes you to Stithians Lake where there are walks around the lake and where frequently you can watch the sail boards, boats and so forth. 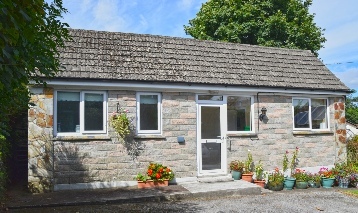 The village offers many facilities, all within a few minutes walk of Parc Drae. Village SPAR store, which also sells newspapers/magazines. Outreach Post Office in the SPAR store on Wednesday and Friday mornings. The Seven Stars public house which serves snacks/meals. Large playing field with equipment for children. A Costcutter Store is located on the outskirts of the village. Nearby you will find Stithians Lake which offers water sports facilities, bird watching and walking and a cafe (seasonal). The area abounds with footpaths. Truro, Redruth, Camborne, Helston and Falmouth are all within a half hour drive. Penzance, Bodmin, Wadebridge, Newquay and St. Austell are all within one hour by car. The village has regular bus services. A little about Cornwall and the village of Stithians.